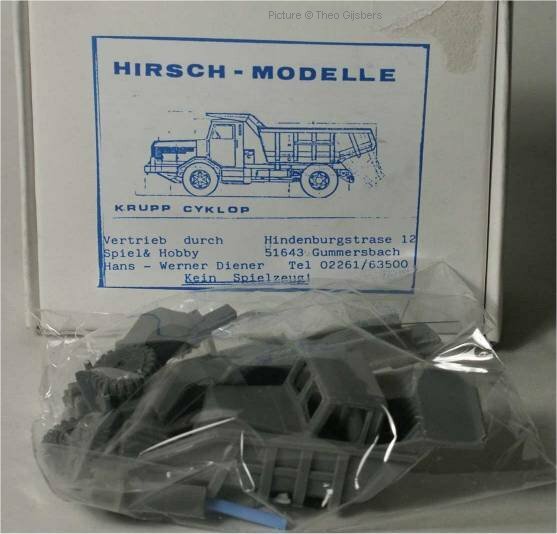 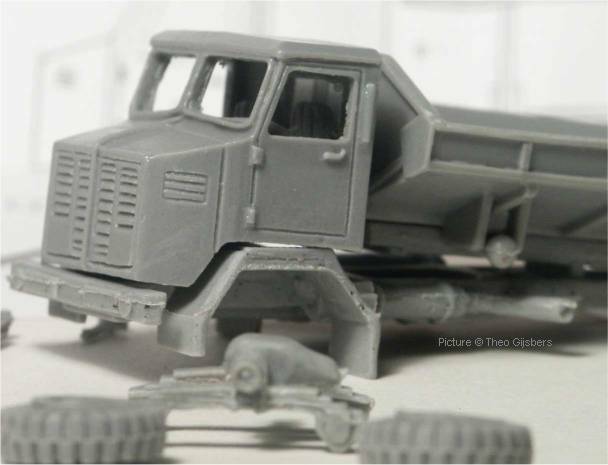 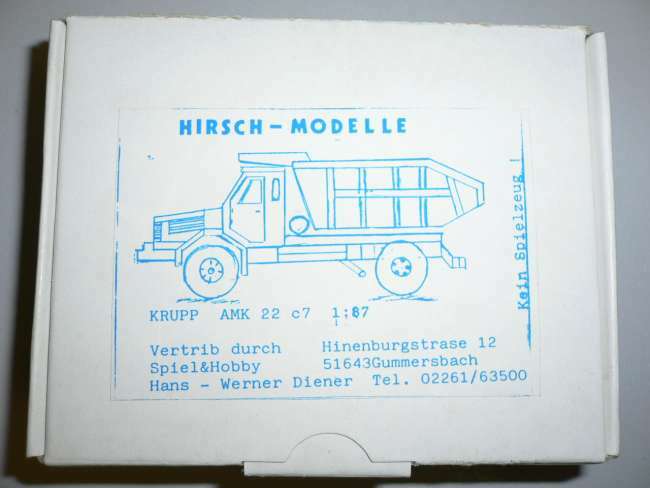 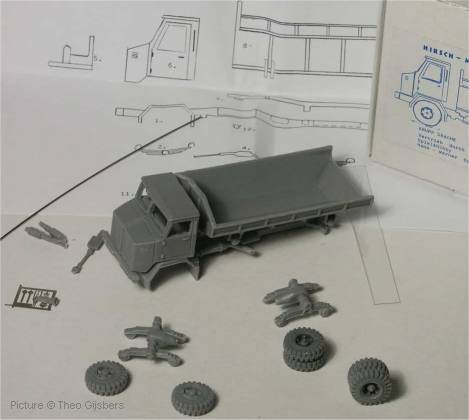 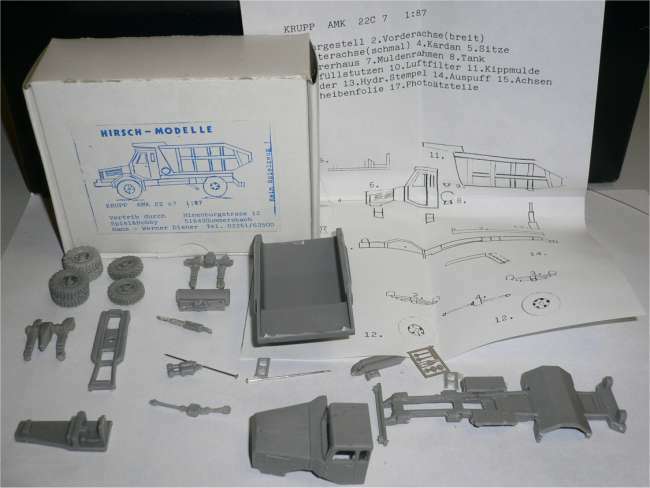 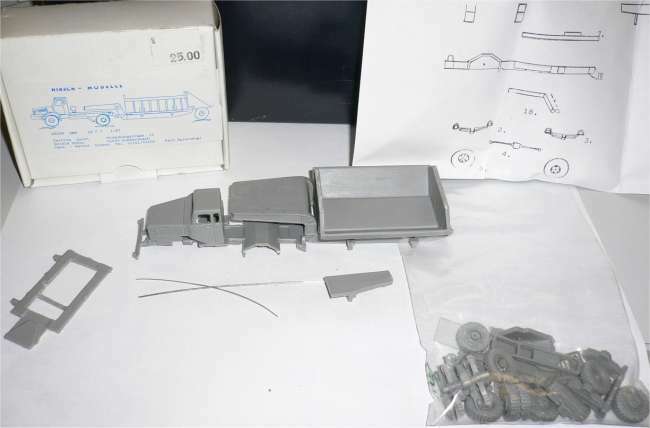 Resin kits, with some photo-etched detail parts, of at least four Krupp trucks. 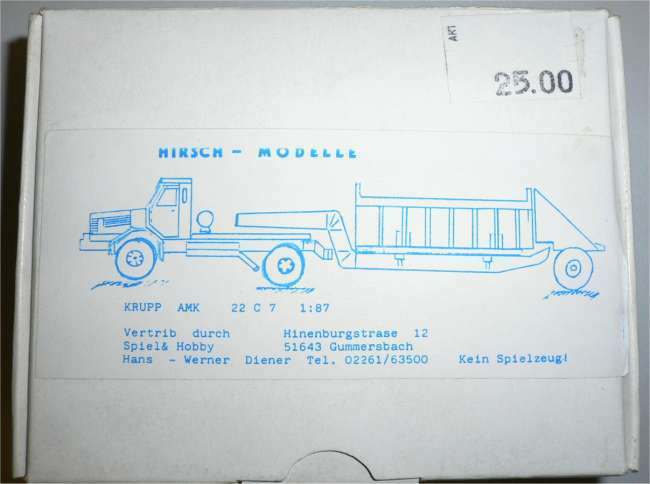 Apart from the fact that the kits were distributed by Spiel & Hobby Diener in Germany we do not have a lot of information about this manufacturer at the moment. 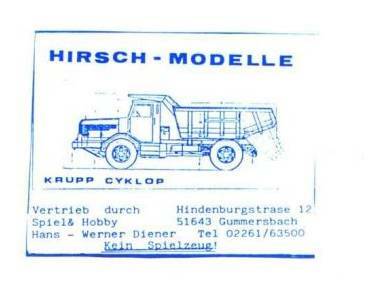 If anyone knows more.... you kno where to find us !